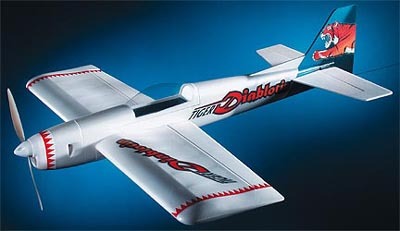 Fun Fly foam structure R/C airplane with thick wing for close-in aerobatic maneuvers. Pre-painted fuselage with motor mount and canopy installed. Easy to build and a blast to fly! Powerful performance with the recommended motor, prop and gearbox. Controls are Rudder, Elevator and Ailerons.